I really struggled about which school Brooke should attend when she started kindergarten. As I can’t quit my day job for financial reasons and home school (nor do I feel qualified!) Brooke had options in Austin and I was looking for a school that gave her creative freedom and play with a focus on learning the core subjects. I didn’t want her to be stuck in a robotic class where she would be taught to learn how to fill out little bubbles for standardized tests. We seem to have come to accept in the USA that parents should become a hovering helicopter with their kids; the world is too dangerous, my child needs to do calculus by third grade, they don’t need to play outside that much! OK, maybe I’m stretching that concept a bit, but I am a person that likes having time to get dirty, be outside, and just time to sit and randomly doodle and think. I know my kids need that, too, in order to ENJOY learning. We have learned first-hand about the importance of our first graders needs to exercise her muscles and motor skills because it directly links to classroom performance. Can we start building PLAY as an emphasis in school and work? Yes, Please! Brooke and I really enjoyed reading Princess Cora and the Crocodile because all this princess wants to do is have some fun and the message resonated with both of us! 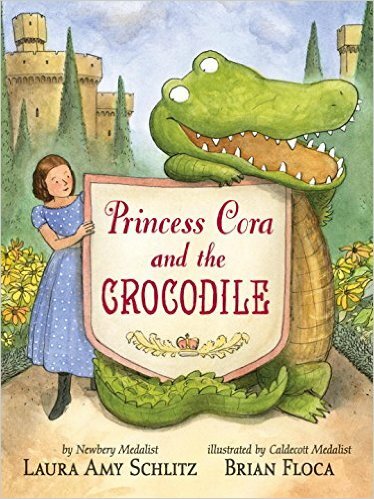 Princess Cora and the Crocodile is a great new addition to your storytime repertoire. Princess Cora is sick of boring lessons. She’s sick of running in circles around the dungeon gym. She’s sick, sick, sick of taking three (yes, THREE!) baths a day. Her parents won’t let her have a dog, so she writes to her fairy godmother for help. While she doesn’t get a dog, she gets something far more interesting, which is a crocodile who does not behave properly. With perfectly paced dry comedy, children’s book luminaries Laura Amy Schlitz and Brian Floca send Princess Cora on a delightful outdoor adventure — climbing trees! getting dirty! having fun! — while her alter ego wreaks utter havoc inside the castle, obliging one pair of royal helicopter parents to reconsider their ways. This hilariously poignant book is brought you to by the collaboration of two kid lit super stars, Laura Amy Schlitz and Brian Floca. It’s longer than the traditional picture book and is more like an upscale first chapter book and geared towards children ages 4-8. Love! About the Author: Laura Amy Schlitz is the author of the Newbery Medal winner Good Masters! Sweet Ladies! Voices from a Medieval Village, the Newbery Honor Book and New York Times bestseller Splendors and Glooms, the Scott O’Dell Award winner and New York Times bestseller The Hired Girl, the sumptuously illustrated chapter book The Night Fairy, and other critically acclaimed books for young readers. A teacher as well as a writer, Laura Amy Schlitz lives in Maryland. About the Illustrator: Brian Floca is the author-illustrator of the Caldecott Medal winner Locomotive, the Robert F. Sibert Honor books Moonshot and Lightship, and other picture books, and is the illustrator of many more books for young readers. Brian Floca lives and works in Brooklyn. 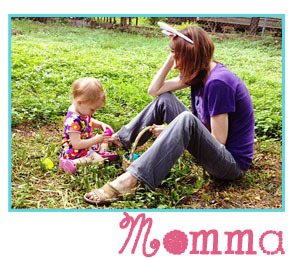 ← Tinyme Personalized Augmented Reality books for kids!